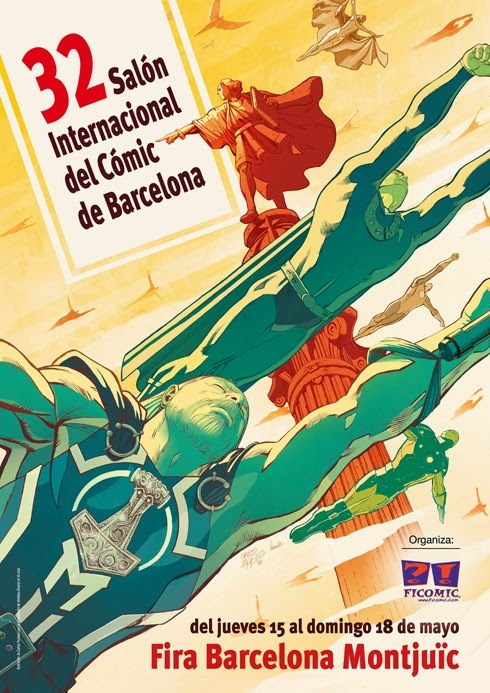 Since last Thursday 15th May is running the 32nd International Comic Fair in Barcelona and in Welldone Publishers: Art Prints & Greeting Cards worldwide we are excited about such event. The festival is one of the most successful fairs in the Catalan city and it is plenty of activities related to cartoon experts and general public. The variety of events is represented by talks, workshops, exhibitions, children education courses, meetings, professional business and conferences.